With over twenty years experience as a professional photographer I see it as my role to capture that image for my clients that will stand out for them on the page, whether that be in a national or regional newspaper, magazine,website or corporate publicity material. Serving the editorial, marketing and public relation sectors, it's my job to promote your brand and provide images to reflect your profile in the media . After getting a grounding in the 'Newspaper Game' in the regional press for a number of years (Bristol Evening Post and Western Daily Press) I have worked as a freelance photographer and have been commissioned by national newspapers, including THE TIMES, THE TELEGRAPH, THE INDEPENDENT and THE GUARDIAN,as well as stringing for major news agencies REUTERS and THE PRESS ASSOCIATION. I have many clients in the commercial sector throughout the UK providing images for the Travel, Construction, Education, Sports & Leisure , Business and Hospitality industries to promote their brands in the media and for their own in-house use. Using the latest in photographic technology I can provide fast same day turn around to picture desks and my clientele. Based in Bristol, I primarily cover the South West, West of England and Wales but also travel extensively for many clients around the UK and worldwide for travel features and major sporting events. 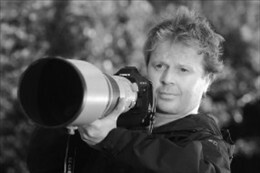 I am also a member of the British Press Photographers' Association. Feel free to contact me for a chat regarding your photographic requirements for your media outlet or business.